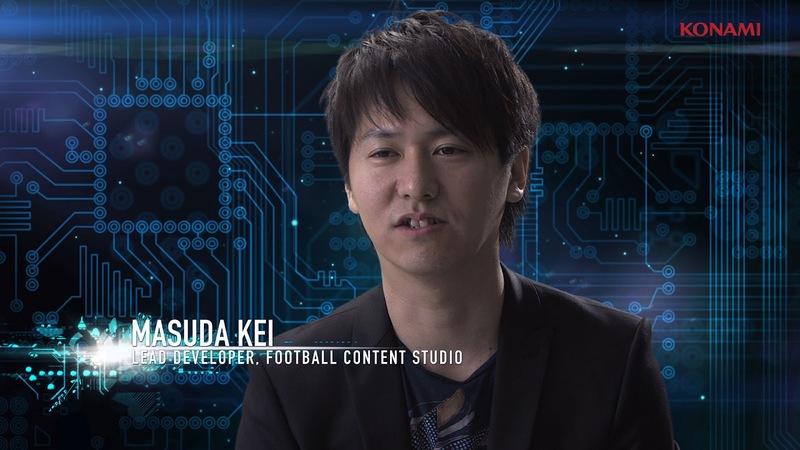 In an recent interview with TechTudo, the new Lead Developer of the Pro Evolution Soccer series has spoken more about PES 2013. The man who took over Seabass' role earlier this year discusses: how the PES Team decide player attributes, whether player stats will be updated regularly in PES 2013, and which FIFA feature does he admire? Find out by reading the entire interview below. TT: What is the big attraction of PES 2013? KM: Actually there are three major attractions in this new version. The first is the Full Control, which is designed so that the player can freely control the ball. With this, there's a sense that the ball is 'stuck' on the boot of your player. This total control is also related to manual passing and shooting, as well as the moves like the "one-two". We have implemented ProActive AI from scratch. We have adjusted [slowed down] the game speed so that it is similar to the movement of a real match. From there, your teammates will react according to your move - such as running into open space and providing passing options. At this point their speed is changed so that it is in accordance with the time the ball. The player ID is a characterization of some players. The movements are very similar to those of real life. For example, the most skillful players will have this feature within the field and everyone will notice. These three characteristics will work together and will create the deepest essence of soccer in a videogame. And not only these, but also the animations and other features we've added this year, too. TT: How do you develop the attributes of each player? KM: We get names from players who are based in the main European leagues, particularly those who have received the FIFA Ballon d'Or. Additionally, in Brazil, we awarded the best players of the last Brazilian Championship. We examined these players up close and have developed these players with their main characteristics. TT: Many players go through a bad phase in his career, with some of their performances well below expectations. How do you deal with bad phases of football stars? Is there a deadline by which you evaluate that player? KM: We try to balance the quality of the player with the outcome of his last season. We will also work with online updates throughout the season; with that, if a player evolves, we will update their attributes. TT: Do you intend to keep the system updates, as was done with the Copa Libertadores 2012? KM: Yes. We intend to keep it. TT: One of the biggest complaints of PES 2012 is the goalkeepers. Are they really more efficient this time? KM: Since the launch of PES 2012, we are working on animations and artificial intelligence of the goalkeepers. A lot of movements were added and intelligence is well established. Note that all improvements were based on feedback from the users. Also, remember what you are seeing today in the demo version is not the end result. We look forward to presenting the full version for the players, because we're sure they will not be disappointed. TT: In Brazil, PES always beats FIFA. What is the major reason for this? KM: I think the spirit in PES is similar to the feeling in Brazilian football matches. Japanese football was heavily influenced by Brazilian football, and consequently, this is reflected in PES. TT: Do you think FIFA copies a lot of elements based in PES? KM: I do not know. But if they do, then I think we should be proud of ourselves. TT: Are there any elements in FIFA which make you think, "Wow, they do that very well!"? KM: Of course - especially the chance to control your player when the game is loading [Arena Mode]. This contributes greatly to help train your skills and also entertains you during the 'boring' part of the game. Kei Masuda, along with PES Team Leader Jon Murphy, are expected to attend a very special event in Brazil tonight. Scheduled to kick off at 8:30pm (12:30am UK time), Konami host a conference in São Paulo with a promise: "some things will be revealed". Follow us on Twitter to stay up-to-date with tonight's developments.